"Light, very buttery. Does not make a large batch, but are simple enough to make many batches. Recipe does not double well." These had good flavor, but they were so crumbly, they had to be eaten with a spoon. Also, too thick when cooked in a 9x9 pan. 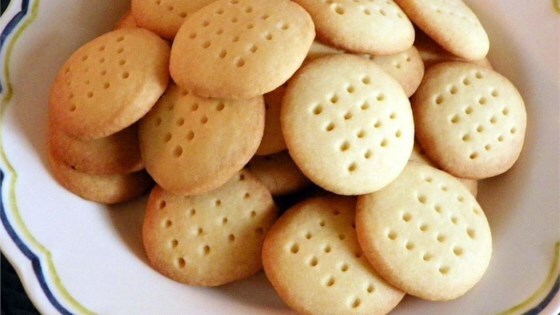 Shortbread should be crispy, not crumbly. This is an excellent recipe. Taste even better than the Walker shortbread that you buy in the store. You can make it crunchier by adding a teaspoon of corn starch. Very easy to make. I have tried soooooo many shortbread recipes and finally found a keeper here! This is not only simple but buttery and delicious!!! Melt in your mouth texture. Thanks!!! !